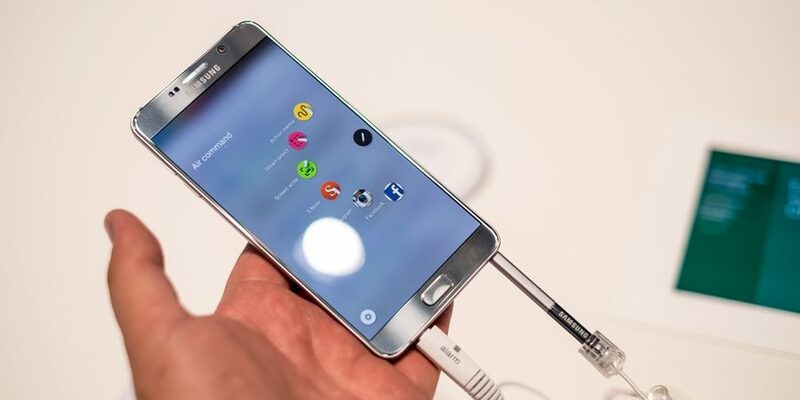 Samsung Releases Galaxy Note 7 is updated Samsung has just announced plans to return the Galaxy Note 7 phone that had been discontinued due to some problems. Samsung Galaxy 7 has trouble that is too hot - And it was launched in August 2016 and had to be withdrawn because there are reports about the battery of Samsung Galaxy 7 is too hot and can result in burning. Apparently Samsung and Galaxy Note 7, for mobile phone replacement is also no better, because it remains too hot, and Samsung forced to withdraw and stop more than 2 million mobile phones already in circulation. From experience of the problem, Samsung finally decided to update and replace with Samsung "Galaxy Note FE", Which is short for "Fan Edition". Compared earlier this phone has more perfect security, and maximize the unused portion is not enabled. For the size of the battery "Galaxy Note FE" is smaller, and guaranteed for the function and security. This phone will go on sale in South Korea on July 7, 2017 at a price of about $ 788 Canada (699,600 South Korean Won), and is limited to about 400,000 units. And for overseas sales plans will still be determined in the future. With many sources speculating that the announcement of Galaxy Note 8 could come in this August, it is possible that many will pass through the updated Note 7 phone that supports the new 8 Notes. What do you think? Are you happy with the news of Galaxy Note 7 as an Samsung Note FE? Will you choose one if you come to Canada, or wait for Note 8? Tell us in the comments!